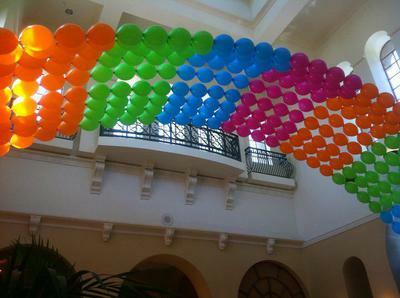 I'm making a large link-a-loon helium filled arch. It's about 16 feet wide and almost as tall. Does it need the small quad balloons in between each link or will it be fine without the quads? The link-o-loon arch will be fine without the quads. I've uploaded an image that shows some large link-o-loon arches without the quads.